Prepare pizza crust, if applicable. Place pizze crust on pizza stone or greased pan. 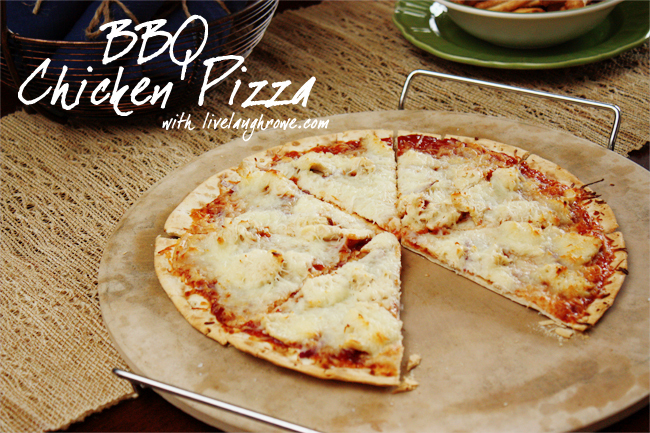 Spread 1/4 cup to 1/2 cup of BBQ sauce on the pizza crust. Amount will depend on size of the pizza crust. Sprinkle onion and chicken on the BBQ sauce. Bake 8-10 minutes or until the cheese has completely melted.